Forrest Garvin “The Prepping Academy” Audio player below! Hurricanes can affect everyone and no matter where you live there are things you can do to prepare for the next big one. For those that live in the areas that are prone to hurricanes and tropical storms, planning and preparedness is a necessity. Planning and getting prepared will look different to each individual and family but there will be some basics that will apply to everyone. 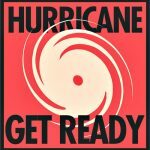 Listen to this broadcast or download “Hurricanes, Surviving and Thriving” in this player! We will talk about the basics but this show will be more about planning to thrive during a hurricane not just survive. Of course we will talk about the many “check-list” you can find on the net but we will go a few steps into the advance planning as well. Check out the Red Cross and Ready.gov for a lot of great information and check list. So… You don’t live in a hurricane prone area? 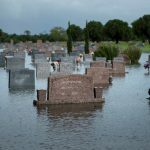 Hurricanes can still have a big impact on you and your family, job and church. We will discuss how to plan for your family, neighbors and possible family members in the ground zero of an on coming hurricane. Supplies are always good but most of the time knowledge is better. We will look back on a few big hurricanes and discuss how knowledge could have changed many outcomes in individual’s life. Have you ever tried to contact family and friends in a disaster area? You might think it’s impossible and sometimes it is but we will cover how to improve you chances to connect with them. We will also help you put together a communication plan for when disasters knock at your door. The most important thing going through a hurricane is being prepared and having the knowledge to survive. Visit The Prepping Academy website HERE! Archives, website, & more for The Prepping Academy HERE! Previous: Previous post: Fallout and Radiation Sickness! Next: Next post: Preparing for Hurricane Irma!